Thank you, readers, for your support–The Horse in Virginia won the People’s Choice Award for Nonfiction at the Library of Virginia Literary Awards on October 15, 2011. Here’s the story in the Oct. 16 Richmond Times-Dispatch. I couldn’t have done it without you! The Horse in Virginia was reviewed in the February 2011 edition of Virginia Living. 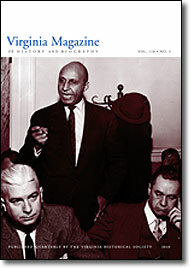 The Horse in Virginia was reviewed in the Virginia Magazine of History and Biography. “A handsome book that describes the history of the horse in Virginia in prose and photograph.”–Richard Ian Kimball, associate professor of history at Brigham Young University. See Vol. 118, No. 3, pp. 296-98.